CANADA: Restrictions push "Vape North America" ​​to cancellation. This is news that can only sadden vapers ... After the recent cancellation of B2Vape Exhibition in France, it is today in Canada that the " Vape North America "Announces it has thrown in the towel following the country's restrictions on vaping. THE VAPE NORTH AMERICA "CANCELS BECAUSE OF INEVITABLE CIRCUMSTANCES! " 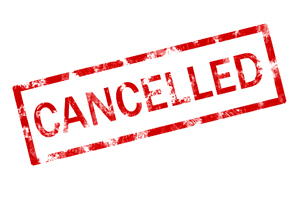 "We are sorry to inform you that our event, the Vape North America Expo, scheduled to be held in Toronto 2 and 3 March 2019, was canceled due to unavoidable circumstances. Regulatory changes have unfortunately been at our disadvantage. When we started, we were sure we could organize this event at the Toronto Convention Center, unfortunately we were informed last week that this was no longer possible. From the beginning, we were in touch with Health Canada (who was planning to attend our event), Public Health Ontario (Tobacco Enforcement), specialized lawyers, and the Toronto Convention Center. Unfortunately no solution could be found for the event to take place. Recent regulatory changes have made it impossible to organize an event that the City of Toronto and the vape industry deserve. We remain convinced that Canada deserves an international event of the vape and we are actively seeking a new location to host a trade show. We hope many of you will follow us in this project and we sincerely apologize for any inconvenience this may have caused. " In order to more information on the official website of Vape North America.